The story of Joseph is retold in 14 rhymes and actions. Delightful illustrations combine with the text and the actions to help children get inside the story, discovering how God was with Joseph through his turbulent life. The rhymes stay true to the Bible text, and reflect the roller-coaster nature of Joseph's life! 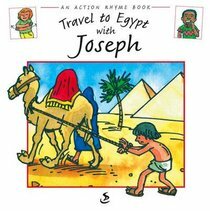 About "Travel to Egypt With Joseph (Action Rhyme Series)"